COQUITLAM — It was precisely the kind of late-game stretch that youthful teams are not supposed to survive. Pressure. The yips. The domino effect. You know the drill. Only the Semiahmoo Totems are not your average too-young-to-know-better senior varsity girls basketball team. Take Saturday night’s championship final at the Centennial Top 10 Shoot Out Tournament in Coquitlam as an example. Sure, in a battle of B.C. Quad-A heavyweights, the Totems came in ranked No. 1. Yet in their championship tussle with Langley’s No. 3-ranked Walnut Grove Gators, it’s important to realize that until forward Izzy Forsyth sunk the winning basket with just six seconds remaining for a 77-75 win, a team whose rotation was made up exclusively of Grade 10 talent had trailed the more senior-laden Gators for virtually the entire fourth quarter. So as the countdown to the tip-off of the B.C. championship tournament on Feb. 27 at the Langley Events Centre reaches 39 days, it’s these Totems who could well wind up re-defining how accelerated the talent-delivery system has become in terms of producing a B.C. senior varsity champion with a largely junior varsity roster. 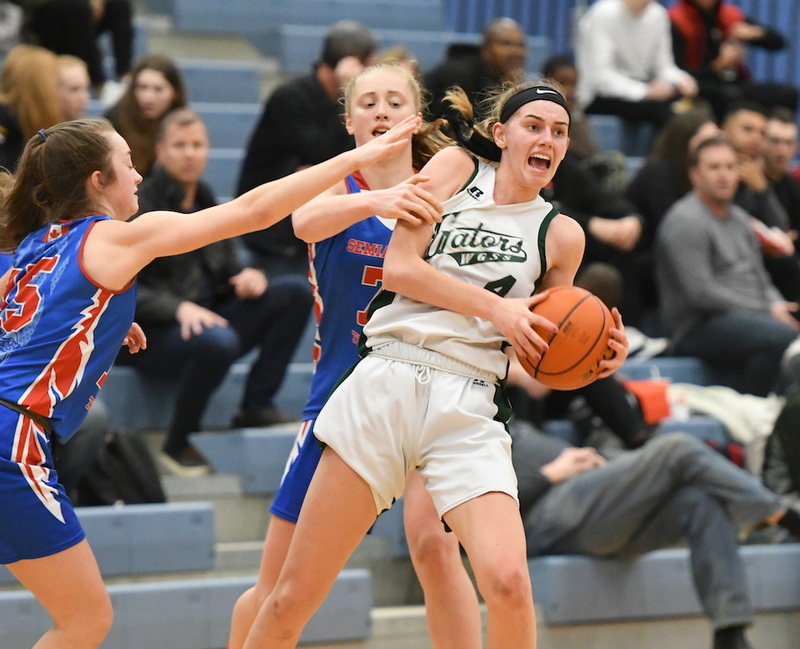 Semiahmoo forward Faith Dut, a 6-foot-3 Florida Gators’ recruit and the team’s lone heavy-rotation senior, missed her second consecutive game Saturday after suffering a concussion on Thursday. “I feel like a lot of this is because of our past experience, like the fact that a lot of us were at nationals and we had a big game in the finals,” Forsyth said Saturday after the tourney win, referencing the fact that herself, along with teammates Tara Wallack and Deja Lee all played big roles in helping B.C. beat Ontario in the Canadian Under-15 title game our the summer. 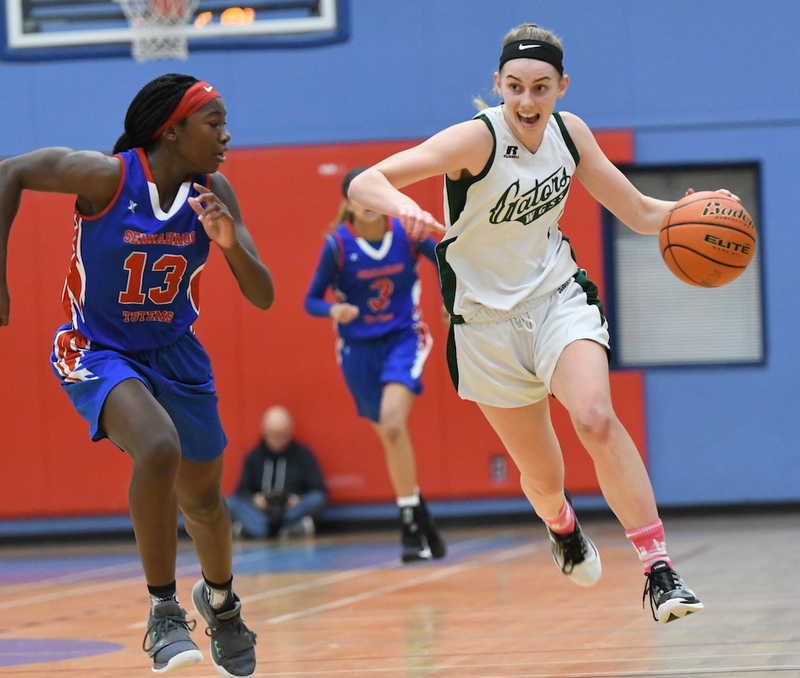 The Totems took the best shots that the Gators could muster on Saturday, the kinds of shots that would knock out most any other team. 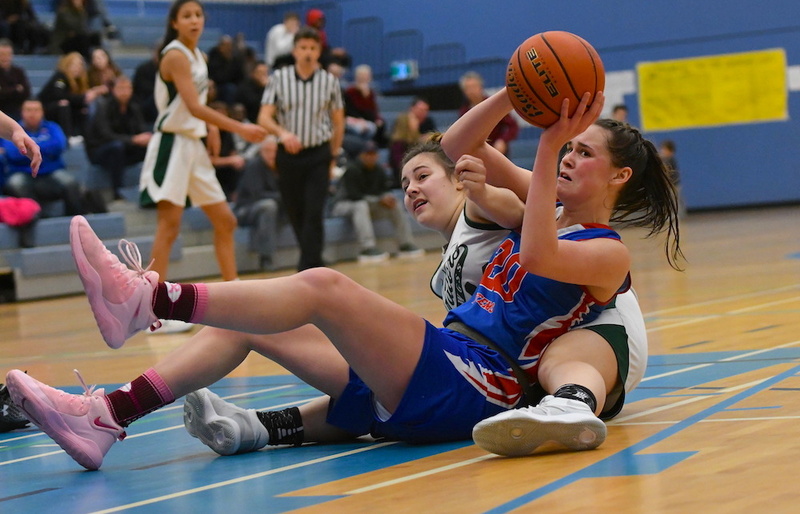 First, led by the superb play of seniors Tavia Rowell and Jessica Wisotzki, Walnut Grove laid a 15-2 first half-ending run on Semiahmoo to take a 42-39 lead into the break. In the second half, the Totems never fell too far in a hole. Yet in the fourth quarter they led only briefly at 68-67 before stringing together a white-knuckle 6-0 run to end the game. Lee, the all-everything 5-foot-9 point guard who was later named tournament MVP, flowed to the glass for a lay-in off an in-bounds play with 1:51 left to pull her team to within 75-73. With 55 seconds left, she capped a sublime court-length drive by seizing an open lane to the basket and tying the game 75-75 with an opportunistic lay-in. Then, with just six seconds left, the 6-foot forward Forsyth, daughter of former UBC Thunderbirds forward Bob Forysth (1978-82), did her dad proud by taking the ball in the post and sinking a perfect right-handed turnaround jump hook. Deja Lee didn’t need to ask for any instructions in the fourth quarter. While her senior counterpart Rowell matched her on the floor with 24 points on the game, Lee seemed to sense just what her team needed and delivered clutch, late-game plays. Much the same can also be said for Rowell. Her tough, fading 13-foot jumper had given the Gators a 75-71 lead with 2:36 remaining. Unfortunately for Walnut Grove, it was their last basket of the game. Lee knows the age of her team is the main topic of conversation within the B.C. girls high school basketball world, but she is determined to make a moot point through her team’s work ethic and self-belief. Wallack added 17 points for Semiahmoo. For the Gators, Jessica Wisotzki had 21 points and fellow senior Ro Taylor six. 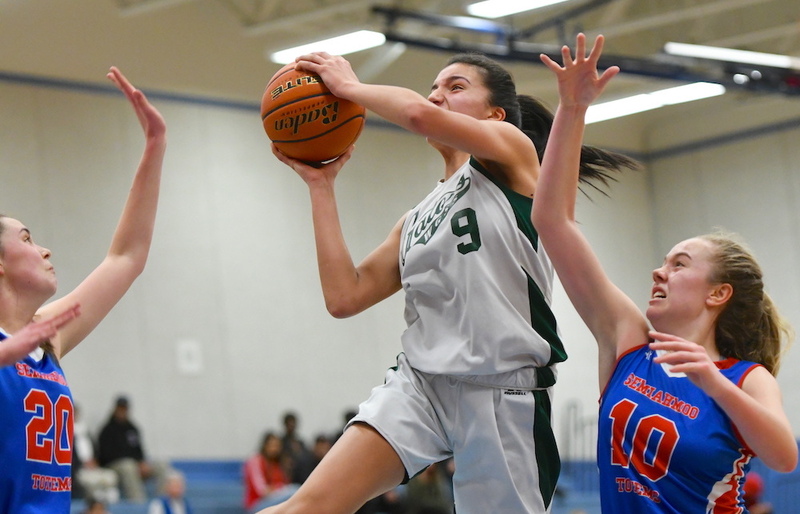 Also young at key spots, Grade 10 Sophia Wisotzki hit four treys, scored 14 points and played terrific on-the-ball defence. 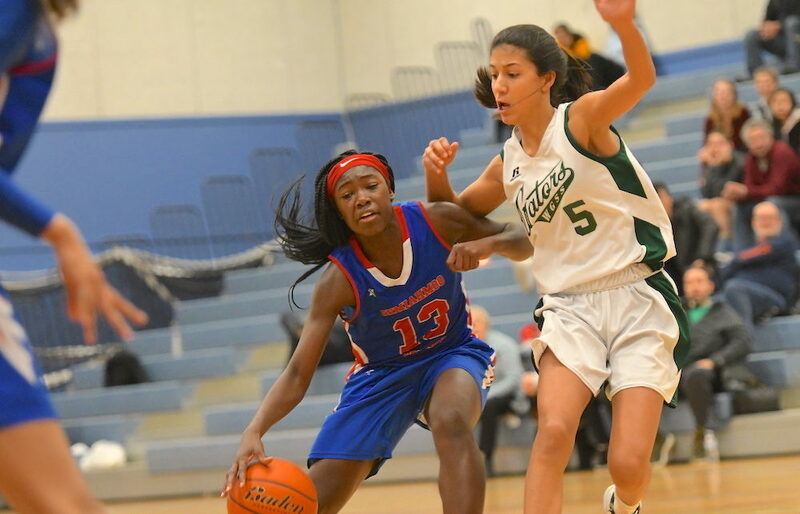 Grade 9 Fania Taylor scored seven points.